Mayur Rakhi for Bhaiya .. Indeed, the significance of Rakshabandhan is undeniable. The word Raksha stands for ‘protection' and Bandhan means ‘tie'. 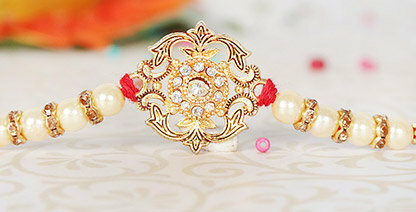 When a sister ties Rakhi, the sacred thread, she prays for the prosperity and happiness of the brother. As a rakhi gifts for sister, the brother makes a promise to protect her. The promise is often accompanied with gifts for her such as chocolates, themed cushions and more. The festival transcends biological relationships between a brother and sister and emphasizes more on the harmony of the relationship. 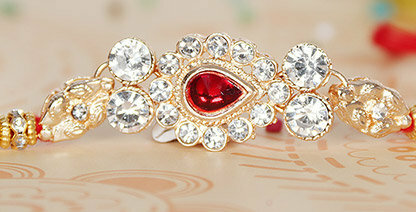 The most traditional way of celebrating Rakhi requires sister to prepare Rakhi Thali in the most beautiful way. With Rakhi thread, kumkum, diya, sweets placed on the thali, the next step requires the brother to be seated in a calm place. After the offerings are made to God, the sister performs aarti, makes tilak on the forehead, ties the Rakhi and finally, offers sweets to her brother. 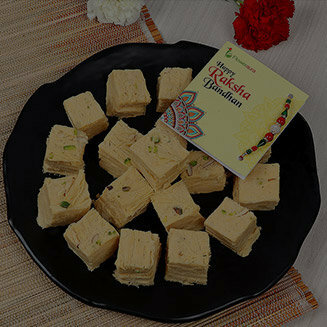 Lately, the sisters have started to opt for various Rakhi gifts for brother such as Signature rakhi box hampers, and pack of Dry Fruits, etcetera. Well, there are multiple answers to how to celebrate Rakhi but this traditional-most way has an undeniable essence of love, warmth and wishes. You always thought as a family that you will stay together forever. You have celebrated innumerable festivals together. Our culture has an array of festivals each reciprocating love, togetherness and fun. There have been lasting memories attached with each one as well. And you never thought as a child that one fine day in order to make their careers or start a new chapter of your life you and your brother will go to different cities. You are miles apart today. 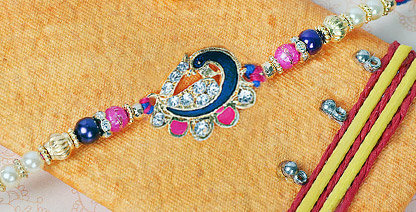 And it is the Festival of Rakhi when the newspapers are brimming with blogs on the relationship between the brother and sister, the shops decorated with beautiful Rakhi and happy rakshabandhan greeting cards and the rains simmer the memories of Rakshabandhan. You want to decorate the pooja thali in the traditional way and sweeten his mouth with this favourite sweet. Isn't it? 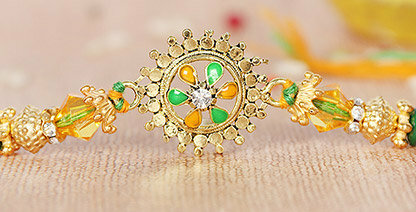 So, have you started your Rakhi preparations yet? If not, then start your rakhi online shopping in India with FlowerAura and take your celebrations to new heights. Well don't you worry because we have brought to you a collection of beautiful, aesthetic and perfect Rakhi decorated on the cyber platter. We have the most artistic pooja thali which is bound to bring back the most sacred memories of so many Rakshabandhan you celebrated with your brother. If your brother has a sweet tooth, we have chocolates and sweets to add to the sweetness of the moment. In fact with our collection of lumba Rakhi for Bhabhi, Fancy Rakhi, traditional Rakhi, Kids Rakhi along with rakhi greeting cards you have a splendid collection to choose from that comes along with free shipping and instant delivery from our online rakhi shop. In fact, now you can send a rakhi online for your brother via our express online rakhi delivery over 200+ cities in India. 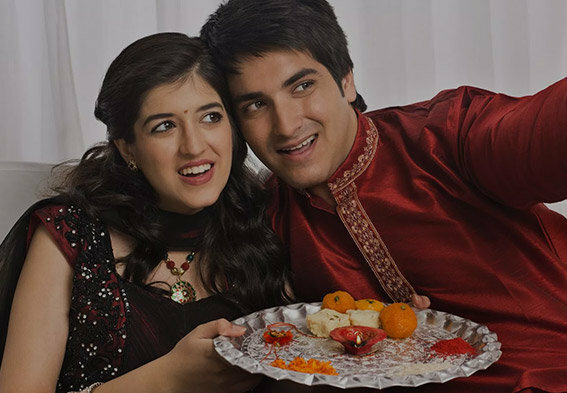 So, no matter even if your brother stays away from you and cannot make it to home on this Rakhi because you can make him feel like home by sending a gorgeous rakhi, sweets, along with gifts from FlowerAura. 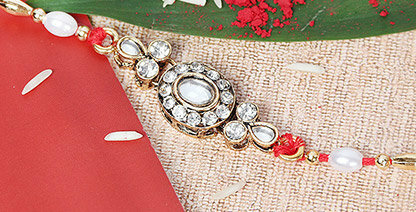 So, go through FlowerAura's exclusive Rakhi collection and make your brother relive the moments! We assure you hassle free express delivery. "Like branches on a tree, we grow in different directions; Yet our roots remain as one." 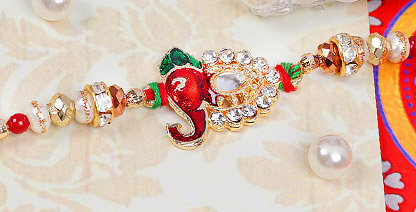 Tying the most holy thread of Rakhi on the wrist of your beloved brother does not only mean that you are expressing your heartfelt love for your beloved brother on this specific day. Celebration of Rakhi and its subsequent significance is not limited to just one day but holds a sweet meaning all life through. Raksha Bandhan is not just a usual day that acknowledges the bond between a brother and a sister. It is something a lot a more than that. A brother is the sweetest companion who comes as a blessing and sister is like the sweetest chocolate chips in the the cookies of life. Therefore, Raksha Bandhan is the festival to celebrate the bond of love and affection between a brother and a sister that is incomparable and eternal. In other words, one of the most auspicious eves called Raksha Bandhan respects and celebrates the eternal feeling of camaraderie between a sister and her brother. Remember those sweet days when your entire family used to celebrate this special day full of excitements and joy. Unfortunately the wind of time doesn't flow in a same wave and this year, you are thousands of miles away from your beloved brother in India. You are in a different country and due to your hectic business or job schedule and other responsibilities, meeting your brother living in India in real on this day is just next to impossible for you. As a loving and caring sister you must be missing your dear brother and desperately finding a way to express the deepest love for your brother from the core of your heart. Right? 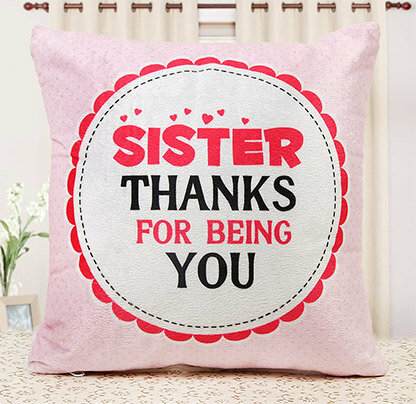 Well, then you can narrate your love for your doting brother by sending a beautiful rakhi to India along with the best Rakhi gifts from rakhi online shopping store, FlowerAura. Yes, now you can send rakhi online within India from across the globe and don't let the distance hamper your bond with your brother. Therefore, it's time to get back to the mood of celebration and bring back the euphoria in your life as we, FlowerAura, are there for you to solve this problem. No matter in which country you are in, be it US, UK, Australia, Canada, UAE or wherever, when it comes to sending your heart full of love to your brother in India, you can simply count on the extensive range of beautiful Rakhi gifts available in our online Rakhi store. 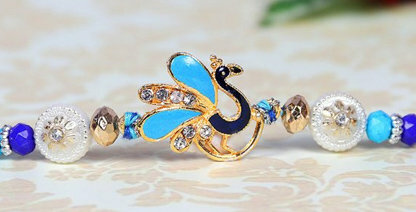 We have all the latest designs of Rakhi available for you. You can also send Rakhi gift combos that come with chocolate, greetings cards, dry fruits and so many other things from our online store. FlowerAura serves in 200+ cities. So, it doesn't matter in which city of India your brother resides, whether it is metropolitan cities like Delhi, Mumbai, Bangalore, Hyderabad or Kolkata or small towns like Hubli, Goraya, Fatehgarh Sahib, Erode, etc. 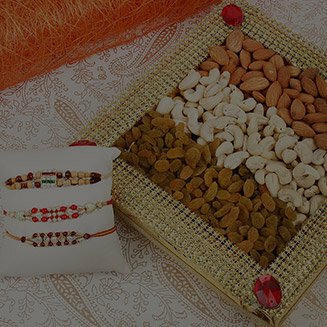 your Rakhi Gifts will be delivered with love in a prompt manner. 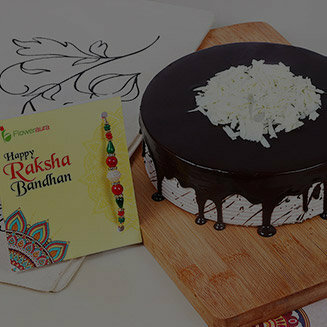 We strongly boast our top notch Rakhi gift delivery service that reaches for the delivery in almost every place in India. 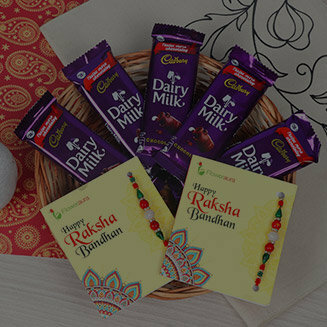 All you have to do is just visit our rakhi online shopping store India and select the best Rakhi for your brother, buy a rakhi online from FlowerAura, and just relax as our Rakhi gift delivery service in India ensures the most reliable and earliest delivery. 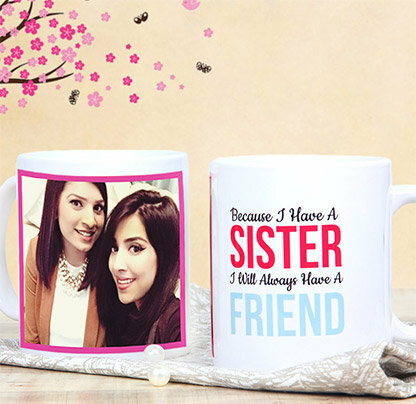 Now it's time to make your brother feel special with the heart touching Rakhi gift from our store. 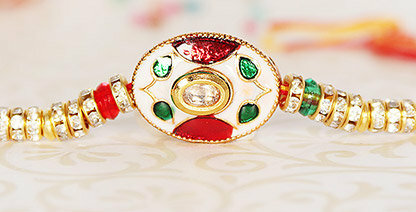 Rakhi is a thread of love which sublimes sentiments. You must have celebrated Rakhi so many times with your brother. You selected a Rakhi, decorated the pooja thali and every time you waited for the gift which your brother selects especially for you. Just the memory is enough to bring a smile on your face! 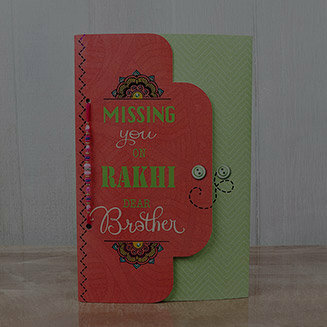 And now when he is in another city, why don't you surprise your brother with a gift along with online Rakhi cards! We have meaningful gifts for rakhi, traditional pooja thalis with Rakhi customized especially for loving sisters like you at online shop, FlowerAura. 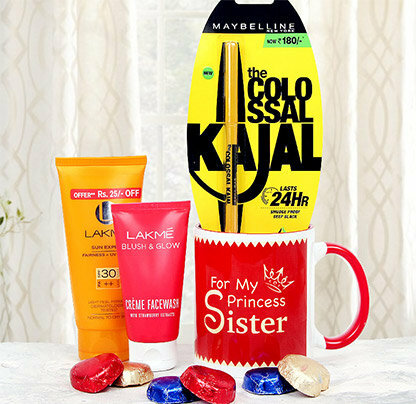 From our array of online rakhi gifts for your brother, you can make him feel extra special this day. He has always made your day with the gifts. It's the right time for you to do the same for your brother. You can sweeten the memories of your childhood with our assorted chocolates or the best quality sweets. We have personalized gift hampers as well which are bound to add to the exuberance of the day. 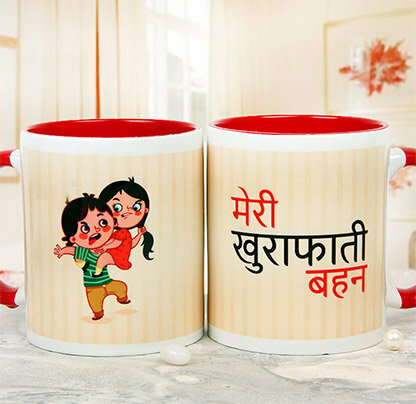 Send Rakhi gifts to Delhi, Bangalore, Mumbai, Kolkata, Chennai, Hyderabad, Gurgaon, Pune, Noida, Ahmedabad, Nagpur and across all parts of India and revive blissful moments of togetherness.